THE UNEMPLOYED EATER: Get In Line Now. Cassell's Doing 99 Cent Burgers Friday. Get In Line Now. 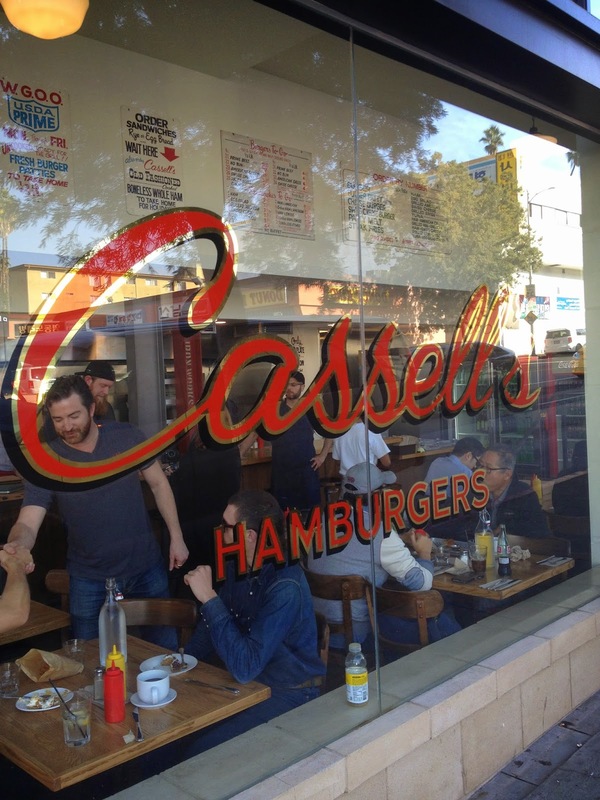 Cassell's Doing 99 Cent Burgers Friday. Remember how I couldn't decide if the new Cassell's Hamburgers, while delicious, may or may not be worth the (somewhat) lofty pricetag? Well, sweat no more, my friend! THERE'S A SOLUTION. Apparently May is actually known and recognized as "National Burger Month" and to celebrate this honored, distinguished American calendar flip, Cassell's plans to dole out burgers Friday for only 99 cents. Yes, for those doing the math at home, that is, in fact, one cent less than a dollar. Line up early though: they start gifting their double-broiled, Colorado-raised chuck and brisket blended patties to the masses at 11 am, until they run out. Can't make it Friday? Cassell's still desperately wants to celebrate this hallowed month with YOU. They are running Happy Hour all May-long, weekdays and weekends, 4-7 pm. Nine smackaroos gets you any sandwich/burger on the menu plus a can of beer. With beer in it. All cocktails are $6 too. 3600 W. 6th Street, KTown. 99 Cent Burgers - Friday, May 8, 2015 at 11 am. Happy Hour - All May 2015.